Established In 2005, We are an employee-owned local Georgia small business! Our mission is to offer reasonably priced Internet services for your Home, Business, or Boat. Our signal comes from towers and land lines- not satellites and we don’t play games with your bandwidth. We don’t have caps! We don’t have contracts! Marinas and Cities: Our main markets are marinas on Lakes Allatoona and Lanier. We also provide free WiFi in the downtown area of Decatur, GA. In addition we serve some of Georgia’s State Parks. 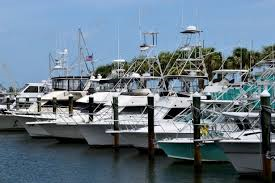 Private WiFi Networks: We have installed private WiFi networks in businesses and prestigious Yacht Clubs who want to provide Internet to their employees, customers, and members. Custom Wireless Solutions: With our custom-build capability, we can also reach many other areas that the cable and phone companies cannot serve. Hosting: Please check with us for very reasonable Data Center services such as VoIP hosting, server hosting, virtual hosting, and rack space. Remember to keep it local and support Georgia’s small businesses! We're your Brightest choice for value!